Lanyard are available with a scaffold hook tail end and optional energy absorber ends. For heavier tools and attaches to the scaffolding belt, harness or tool bag with the stainless steel carabiner. This stretch cord lanyard minimises entanglement and streamlines gear. 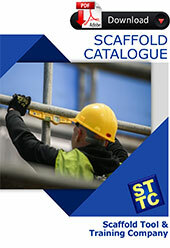 For tethering to the scaffold or workplace. Provides anchor points for tethering tools.